On Wednesday 23rd May 2013, mountain running enthusiasts once again turned out in large numbers for the Newcastle AC hosted Hill & Dales Series. 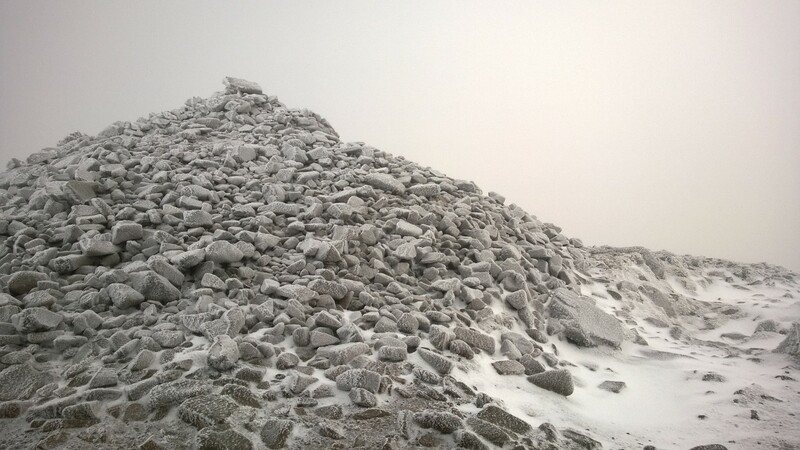 Race 6 – ‘Millstone’ took place in Newcastle, County Down and covered 4 miles in distance with approximately 1,500ft of ascending. The evening began with a fitting tribute to Denis Rankin by his daughter Kerry. Joe McCann then spoke on behalf of Newcastle AC and the Hill & Dale organising committee. During his tribute, Joe explained that all proceeds from the final Hill & Dale race at Drinahilly on Thursday 28th June 2013 will go to Denis’ family charity, the Mourne Mountain Rescue. Kerry and her husband, Simon Hall then made their way onto the crowded start-line, accompanied by a large number of BARF (Belfast Association of Rock Climbers and Fell Runners) runners, the club to which Denis Rankin was attached. As the action got underway, Ian Bailey (Newcastle AC) immediately imposed himself on the group as they left Donard Park, moving to the front of the field; Deon McNeilly (Newcastle AC), Neil Carty (North Belfast Harriers) and Stephen Cunningham (Mourne Runners) followed. As the men reached the summit, Deon had a slight lead over Ian, Neil and Stephen. This set things up for an exciting descent, during which; Ian, who proved himself on the descent at the Slieve Martin race earlier in the series and more recently at the Slieve Donard Challenge, once again impressed and reached the finish line first; he crossed the line in 36:48 to earn his second win of the series. Stephen Cunningham, another man who descended well, making up two places on the way down, followed in 37:17, before local man and regular podium finisher Deon McNeilly claimed 3rd place in 37:29. 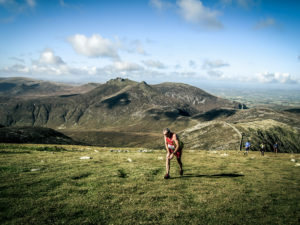 Patricia McKibbin (Unattached), a third place finisher in last years Hill & Dale Female Open overall standings, secured an excellent win in the ladies race, recording 49:42 for the distance. Lagan Valley AC front runner Hazel McLaughlin (50:17) took 2nd place, while Sinead Murtagh (Castlewellan AC), a consistent top ten finisher, completed the ladies top three after running 51:49 (3rd place). Kerry and Simon Hall completed the tough course in 1:26:51; fittingly surrounded and accompanied by a host of BARF runners as they crossed the line, an inspiring tribute to Denis.